From next time you visit your doctor, you may not have to pay, even if you are just an outpatient. 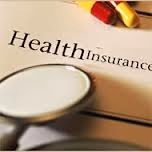 The health insurance providers are mulling to tailor products, having which you would not require to pay towards OPD expenses at any network hospital. As of now, patients need to be hospitalised not less than 24 hours to avail this cashless facility. However, some insurers have already started providing OPD coverage but only through reimbursements. Which means a patient needs to pay at the time of treatment and later on, submits bills in order to get expenses back. Apollo Munich's Maxima is now offering vouchers for various services such as consultation and pharmacy. “We are charity vouchers for OPD diagnosis with underling limits," said Apollo Munich Health Insurance MD and CEO Mr. Antony Jacob, adding, “This is accessible in designated outlets. We repay if a sanatorium is not in a network list." ICICI Lombard is also planning to offer similar product. “We are planning to bring OPD on cashless platform,“ said Mr. Sanjay Datta, Head of Health at ICICI Lombard, adding, “We will soon start a pilot. This should help ease life for the average insurance customer."